Last night, at 12:19 AM Central Daylight Time, numerous eyewitnesses in the SouthEast reported seeing a very bright fireball, which was also detected by all six NASA meteor cameras in the region. 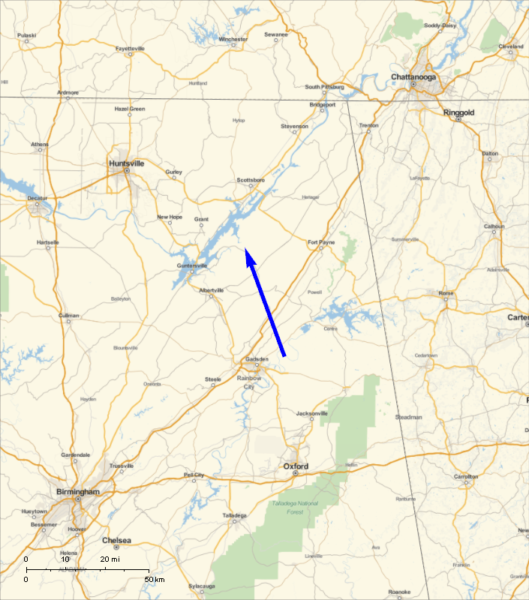 Analysis of the data indicates that the meteor was first seen at an altitude of 58 miles above Turkeytown, Alabama (northeast of Gadsden), moving west of north at 53,700 miles per hour. It fragmented some 18 miles above the small town of Grove Oak. Early results indicate the fireball, which was at least 40 times as bright as the Full Moon, was caused by a small asteroid 6 feet (2 meters) in diameter. 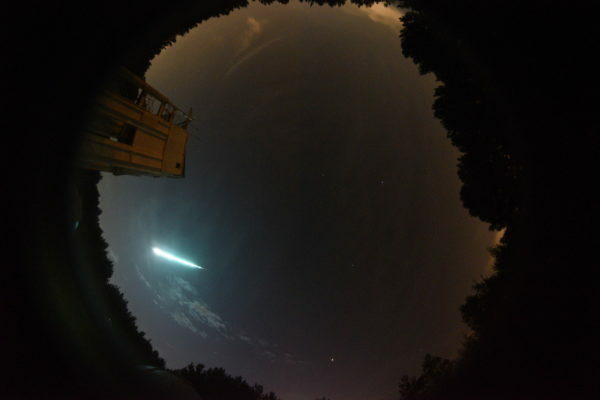 We are still assessing the probability of the fireball producing meteorites on the ground – whether it did or not, it was an extremely bright event, seen through partly cloudy skies and triggering every camera and sensor operated by the Meteoroid Environment Office in the region.